The nearest motorway exit ramp is on the A27 – Pian di Vedoia. take the A27 and exit in Belluno, then continue for Agoordo Alleghe and Caprile, then turn for Livinallongo, Arabba. mboccare l’A27 e uscire a Belluno, e da qui proseguire per Agoordo Alleghe e Caprile, quindi svoltare per Livinallongo, Arabba. take the “strada statale 12” until Karneid. In Ponte Gardena/Waidbruck take the “strada statale 242” and continue until Selva di Val Gardena, then turn into the “stradale statale 48” towards Arabba. For those coming from the Autostrada del Brennero, exit in Egna/Ora, continue for the Fiemme and Fassa Valleys, then continue for the Pordoi Pass until you reach Arabba. take the “strada statale 49” for about 4 km, then continue on the “strada statale 51” and in Pierosa take the “strada statale 48” in order to reach Arabba. 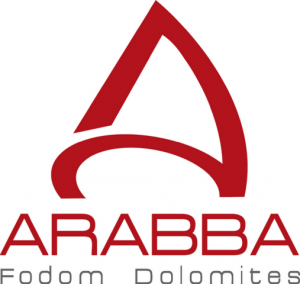 Arabba and Rocca Pietore are served by the bus company Dolomitibus of the Belluno Province. You can check the timetables online. The nearest railway station is that of Belluno, which you can reach with the trains coming from Padova and Venice. From the station in Belluno you can reach the various villages via the local bus services of the Dolomitibus. The nearest airports are the following: Bolzano 77 km, “Treviso San Giuseppe” 165 km, “Venezia Marco Polo” 184 km. Verona 215 km – Venice 220 km – Trieste 235 km – Milan 360 Km – Munich 224 Km – Innsbruck 85 km – Paris 1.068 Km – Amsterdam 1.048 Km.